In recent times, jojoba oil has become hugely popular with natural skincare enthusiasts. Firstly, it’s a highly effective moisturizer. With its similarity to human sebum, it’s easily absorbed by the skin. And its low comedogenicity means it’s unlikely to block the skin’s pores. Making it great for people with acne. It also contains protective antioxidants. Reducing the appearance of lines and wrinkles as you age. It’s wonderful for nourishing dry and brittle hair. While at the same time moisturizing the scalp and keeping dandruff at bay. You know what, it just might be my favorite natural moisturizer. And I love using it as a carrier in my homemade skincare preparations. In this article, I’ll point out the important things to consider before you buy. 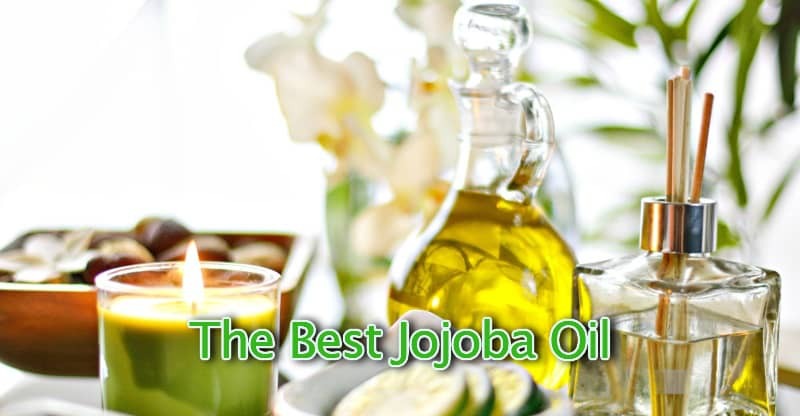 And show you the best jojoba oil brands. You can find the reviews after the buying guide. These days, there are so many jojoba oil products available for purchase. And the truth is, a lot of them are not the highest quality. So how do you go about finding the best one? Make sure that the jojoba oil that you buy is organic. Because it’s the only way you can know that it hasn’t been contaminated by chemicals or pesticides. And as you’re using it on your skin, you want it to be as clean and healthy as possible. The USDA has strict requirements before they’ll allow a product to use their seal of approval. It’s important to buy a cold-pressed and unrefined jojoba oil. Firstly, the refining process can destroy some of the beneficial nutrients that are present in the oil. And secondly, some refined oils are solvent-extracted. My advice is to avoid these. Because you don’t want any chemical residues in the jojoba oil that’s being absorbed by your skin. For this reason, it’s also best to avoid blends that contain both refined and unrefined jojoba oil. Fortunately, solvent extracted products won’t get organic certification. So it’s easy to weed them out by using our first selection criteria. But to make sure you’re getting the best, stick with the cold-pressed. You want to make sure that the product contains 100% pure jojoba oil and hasn’t been mixed with any additives or other oils. Unfortunately, this isn’t always made clear in the advertising. So always check the list of ingredients before you buy. There are a number of very good organic, cold-pressed jojoba oil brands available on the beauty market. This jojoba oil by Cliganic comes in a 4 oz bottle with a dropper. It’s a 100% pure and natural, cold-pressed, and unrefined jojoba oil. The USDA has certified it as organic, so you know this is good for your skin and free of any undesirable chemicals. Are you concerned about animal welfare? If so, it’s nice to know that this is a cruelty-free product that’s vegan-friendly. The packaging is important as well with products like this. Poor containers can lead to it going off quickly. Importantly, it comes in an amber glass bottle. This protects it from the light, helping to give it a long shelf life. This product is a high-quality jojoba oil, that doesn’t change consistency with the temperature. And customers love how quickly this is absorbed and how smooth it leaves their skin feeling. It removes mascara, eyeshadow, and eyeliner efficiently and without any irritation. While it can also be used after shaving to soothe any irritation. And many people report successfully clearing up their acne problem while using this oil as a part of their daily regimen. People love the way it leaves hair shiny and well nourished. It’s the perfect antidote to brittle hair. And to top it off, Cliganic offer a 90 day 100% replacement or refund guarantee if you’re not happy with the product for any reason. Can’t say fairer than that. This product from US Organics has a dropper lid and comes in a dark amber glass bottle. It contains 4 oz of oil and can also be bought in a 2 oz bottle. It’s cold-pressed, unrefined, and USDA certified organic. And also 100% pure with no added parabens, fragrances, dyes, or alcohols. So it satisfies all of our initial buying requirements. This oil is Leaping Bunny certified, which I love to see. So you can be sure this is an animal cruelty-free product. You’ll find it great for revitalizing dry and damaged skin on your face and body. But it also works for oily skin without making it feel like a greasy mess. And it transforms the appearance of dull and lifeless complexions. Jojoba oil isn’t actually an oil. I know, confusing, right? It’s actually a wax ester that has similar properties and can be used for the same purposes as other facial oils. One of the ways that you know that you’re getting 100% pure jojoba is to cool it down to around 7-10 C. As its a liquid wax it should solidify at this temperature. This product passes that simple test. It’s certainly the real deal. This product from ArtNaturals comes in a 4 oz dark glass bottle with a dropper lid. It’s a USDA certified organic jojoba oil and is 100% pure. And to make sure that’s full of beneficial nutrients and free from impurities it’s cold-pressed and unrefined. This is a lovely oil that your skin quickly drinks right up. It moisturizes effectively if you’re dehydrated and has a good anti-inflammatory effect when treating skin conditions. It has a very faint scent which is barely noticeable. This jojoba oil by Foxbrim comes in a 2 oz dark glass bottle with a dropper lid. It’s 100% pure and certified organic by Ecocert. And cold pressed to retain all the beneficial properties of this oil. The product is cruelty-free and 100% suitable for vegans. Among its many benefits, this is an excellent choice for dry skin. It hydrates and moisturizes without leaving you feeling oily or greasy. It’s also great for sensitive skin and helps to relieve itchiness and irritation. People also enjoy using this for their nails and cuticles, keeping them moisturized and preventing cracking. This brand of jojoba oil comes in a 4 oz amber glass bottle with a pump lid. It’s a hexane free and animal-cruelty-free brand. And is also an unrefined, USDA certified and organic cold-pressed jojoba oil. Made in the USA in GMP certified facilities. It’s absorbed quickly, forming a protective barrier that helps it to retain moisture. And it works well under makeup on your face. Regular use improves the appearance of the skin, softening the appearance of lines and wrinkles. Also known by the name Simmondsia chinensis, jojoba oil is a liquid wax with fantastic beauty benefits for your skin and hair. In fact, it’s so good that it’s one of the most commonly used ‘oils’ in commercial cosmetic products. Where it has largely replaced the use of essential fatty acids from animal fats in the production of lotions and skin creams. Full of vitamins and nutrients, the reputation jojoba has built in the beauty community has made it a favorite with skincare enthusiasts eager to use natural oils with no additives. It’s great when used on its own. But it also makes an excellent carrier oil for using in homemade skincare preparations. Unlike other plant oils, jojoba oil bears a close resemblance to the sebum that’s produced by your skin. This means it’s easily absorbed and acts as a natural moisturizer. It can help to hydrate dry patches of skin anywhere on your body, and leaves your face looking glowing and healthy. If you have problems with your complexion, then finding the best jojoba oil for acne prone skin is a top idea. Not only is it low on the comedogenicity scale, which means there’s only a very small chance of further blocking pores. 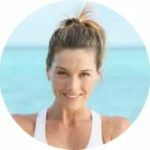 But it’s also capable of dissolving the excess sebum that’s produced by the skin that’s largely responsible for clogging pores in the first place. Making it easier to clean away the obstruction. Also, it has antibacterial powers that can inhibit the growth of bacteria and reduce the infection. Its ability to help with skin problems goes even further. Jojoba oil has anti-inflammatory properties that also make it soothing for dry and itchy skin disorders, such as eczema, dermatitis, psoriasis, and rosacea. It also provides a protective layer. Reducing the risk of secondary infections by stopping bacteria from entering through the broken and inflamed skin on your body. Wouldn’t it be nice if there was a facial oil that’s light, quickly absorbed, non-greasy, and makes you look younger? Well, fortunately, there is! Jojoba oil ticks all of those beauty boxes. Dermatological studies have shown that it improves the suppleness and appearance of the skin. And with regular use, it can even help to fade lines and wrinkles on your face. If you suffer from chapped lips in the winter, jojoba oil makes a wonderful lip balm. The waxy oil forms a barrier that locks the moisture into your lips and keeps them supple, preventing them from cracking. Most lip balms are petroleum jelly based. But you can throw them away and use this all-natural beauty alternative instead. Your cuticles are tender and can often dry up if you’re using nail polish removers regularly. Jojoba oil is as effective at moisturizing them as any cuticle oil that you can buy. Just rub a drop into each cuticle after you’ve finished bathing. Firstly, you can use it on your skin before you shave. This makes it smooth and helps to prevent razor burn. You can also use it after you shave to moisturize and soothe. Making jojoba a good natural alternative to aftershave lotions and balms. If you’ve spent a little too long in the sun and find yourself turning red and starting to tingle, jojoba oil might just come to the rescue. It can soothe the painful inflamed skin on your face and body. And the vitamin E content can prevent the damage that continues to occur inside the skin even after you leave the sun. Your feet are worked hard every day, and are often exposed to the elements. Dry weather, in the heat of the summer or the cold of the winter, can cause cracks to appear on their skin. By rubbing a little bit of jojoba oil into your feet each day you can keep them soft, supple, and smooth. The health and beauty uses of jojoba also include your hair. Skin conditions, aging, and nutritional deficiencies are all known to play a part. And damage and blockages to your hair follicles can slow the rate at which the hair is replaced. Leading to thinning, or balding areas of the scalp. Sometimes the cause is genetic, and there’s nothing that can be done at the moment. But when hair loss is exacerbated by blocked follicles, jojoba can dissolve the sebum and help to clear away the trapped debris. Thereby helping to facilitate new hair growth. If you often have dry and frizzy hair, then perhaps it’s worth considering jojoba oil. It can moisturize and condition your hair. Making it easier to manage and free of tangles. And looking simply beautiful. Use jojoba oil for hair before you wash, or along with your shampoo to prevent the loss of natural hair oils. And you can also apply a small amount afterward while it’s still damp. Forming a coating that protects it from dryness and gives it a healthy shine. Everyone experiences this common scalp condition from time to time. But it’s still unpleasant and embarrassing. The main cause of dandruff is scalp dryness. So the moisturizing properties of jojoba oil can also work a treat here. Unfortunately, it’s sometimes made worse by fungal infections. But jojoba again comes to the rescue. Its anti-fungal properties make it ideal for helping with more difficult skin conditions. Using too much jojoba oil can sometimes be a problem, as the excess residue that isn’t absorbed sits on its surface attracting dirt and grime. 1. First, wash your face (and body if you intend to use it there). 2. Dry your skin, but leave it a little bit damp. Allow a small amount of extra water to the area with your fingers if necessary. 3. Use a couple of drops of the jojoba oil, and spread it between your fingertips. 4. Gently massage it into your skin using your fingertips. The best jojoba oils make a great moisturizer for your skin and hair. And they also provide anti-aging properties. Jojoba oil is very good when used as a carrier oil. And its an excellent facial oil for acne sufferers because it’s similar to your sebum and less likely to block your pores. It also helps to heal itchy skin conditions. All the jojoba oils that we’ve reviewed above would make an excellent choice. But our favorite selection for the best jojoba oil for skin is Cliganic.